Shigaraki is located in the center of the KINKI region in Japan, which lies in the southern-central region of Japan’s main island Honshu. 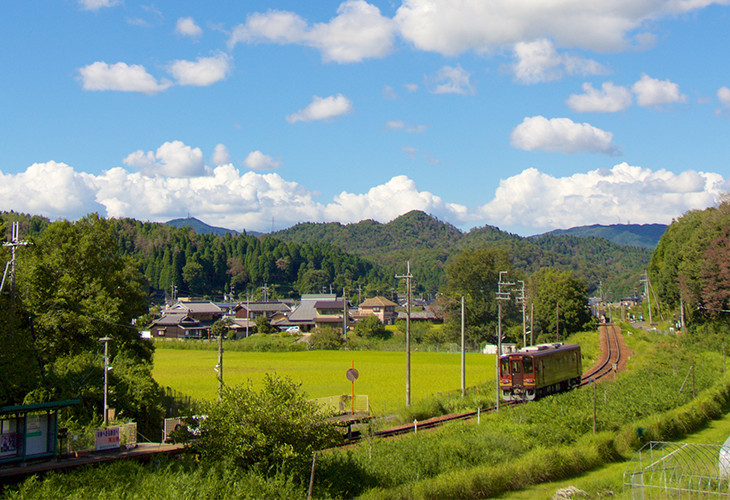 Shigaraki can be found in the southern part of Shiga prefecture. It is situated at around 300m above sea level and eighty percent of the area is covered by forest. It is a very beautiful place to visit even though it can be vey cold in winter. SHIGARAKI is one of the oldest pottery producing areas in Japan. SHIGARAKI served as an imperial capital over 1300 years ago, and you can still feel this special ancient atmosphere when you come here. We warmly welcome you to this historical pottery district. ⇒central SHIGARAKI is about 15 minutes on foot. ・MEISHIN highway ⇒ SHIN MEISHIN highway [SHIGARAKI IC] ⇒Central SHIGARAKI takes a further 10 minutes drive from the highway exit. ・Through KAMEYAMA JCT ⇒SHIN MEISHIN highway ⇒ [SHIGARAKI IC] ⇒ Central SHIGARAKI takes a further 10 minutes drive from the highway exit. ・MEIHANKOKUDO [MIBUNO IC] ⇒ Central SHIGARAKI takes an additional 30 minutes drive. ＊Due to health and safety reasons factory tours are sadly not permitted. If you wish to experience Shigaraki pottery being made please visit the Ogama workshops. ＊Please make a reservation if you wish to hold business negotiations. Feel free to contact us with your enquiries. ＊For details, please check the Google calendar. ＊Ordering from the Web Shop is available all year round. ＊Inquiries and shipping work will only be carried out on weekdays. We thank you for your understanding.